Local construction companies in the Idaho Falls area are victims to thefts that cause thousands of dollars in losses. On a nationwide level, construction theft is believed to be a multi-billion dollar problem. In opposition to these thefts, Joe Anderson, owner of Anderson Manufactures Incorporated, has designed a new lock that is expected to threaten the success of thieves. Anderson called his lock “indestructible,” but also pointed out it may not be impossible to break. More so than the ultimate answer against construction theft, his new lock is an upgrade from what exists currently. Most of the locks currently used break right off with a crow bar or similar tool, where as Anderson’s was “nearly impossible” to break off, and if it did, it took a lot longer to do it. It would be foolish to believe that a lock will be the final competitor and stopper against construction theft, and Anderson points that out. However, with locks that are more durable, stronger, and harder to break, naturally it will be more difficult for thieves to steal. If nothing more, the new lock will fluster thieves for a time and prolong their efforts, but of course, Anderson is hoping for more than that. Mass production of the new lock is expected to take place within the next month. Downtown Diversion is a 13-acre facility in the Los Angeles area that recycles construction material waste in order to create new construction material. Instead of lining landfills with a surplus of asphalt, lumber, concrete, drywall, metal, cardboard, and other material, the facility recycles what it can from this waste, preserving both the environment and the material. President and CEO of Downtown Diversion, Mike Hammer, state that “For every ton of new construction, there is 10 times as much waste,” and that it is necessary for the city to recycle. Since its founding in 2003, Downtown Diversion has processed roughly 500,000 tons of trash back into the construction industry. On a daily basis, the facility processes 1500 tons of waste everyday. The source of all the material waste that is recycled comes mainly from destroyed buildings, where they pick out all the material that can be recycled. Hammer stated that Downtown Diversion preserves 75% of the waste material listed above. Although diverting waste is a small industry right now, it is expected to grow as time progresses. It may even become a necessity as landfill and dumping sites reach maximum capacity. Currently however, it is cheaper to dump than to recycle, which drives many companies to continue. Police in Salt Lake City recently broke open a construction equipmenttheft crime ring. It is reported that the men caught typically were employed as construction workers during the day, and spent their nights stealing heavy equipment. Policeman further reported that many thieves raid construction sites to pay for drug habits. Dave Broadhead of the Salt Lake County Sheriff’s Office stated that thieves steal a variety of equipment, even paint sprayers and regular construction tools. He also said that thieves target copper because they can sell it as stripped metal for $2.50 a pound, making it relatively easy to pick up some extra money. A single contractor has been hit 6 times in two months, suffering a $20,000 loss in stolen equipment. Houston police have also uncovered significant amounts of construction site theft. They just concluded a 15 month investigation in which they arrested 57 suspects relating to construction site theft. Officer Craig Kivela, of the Central Patrol Division, believes that these suspects are directed by a small group of ringleaders, and that there are an estimated 40 related cases of theft. More than $200,000 worth of vehicles and material have been recovered. Increasing construction increases the opportunity of equipment theft. Authorities warn that there is a market of thieves just waiting to steal property and equipment at construction sites. Implementing basic and fundamental security procedures will likely decrease the amount of construction theft. Read more on these stories here and here. Crane operator Larry Welsh is your everyday kind of guy. He works, has a family, and attends church. The fact that Welsh spends 9-12 hours a day operating his crane would appear normal as well. Except he is 190 feet in the air when he does it. Paul Freedman, President of Simlog, visited the headquarters for NAHETS, the National Association of Heavy Equipment Training Schools, on Monday April 23, 2007. Freedman was awarded an associate membership in NAHETS and wasnpresented with a plaque from NAHETS president, Matt Klabacka. Freedman granted yellowmetal.tv an interview regarding the significance of simulators in the training of heavy equipment operators. Simlog was founded in 1999 to commercialize training simulation technology developed at CRIM, one of Canada’s leading research institutes in information technologies. 2. Simlog has a unique business focus: heavy equipment operator training in the crane and construction industries, forestry, and mining. We do nothing else. 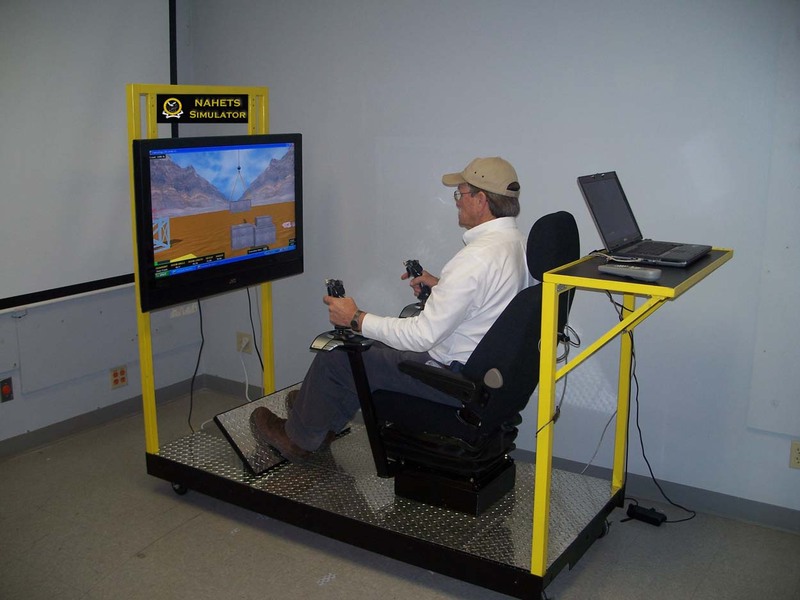 Practically, this means that you can count on Simlog for more and more simulator-based help to address your heavy equipment operator training needs! 3. 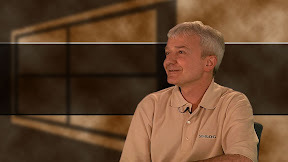 Simlog has a unique instructional focus: because we are working in multiple heavy equipment industries, we’ve gained special insights into operator training challenges and instructional design for training simulation. Indeed, every Personal Simulator is developed in collaboration with leading equipment manufacturers, their distributors, owner/operators, and training professionals. On May 2, 2007, the Nevada School of Construction and NAHETS Corporate offices hosted a visit by members of the U.S. Department of the Interior. Lynn Forcia, Division Chief of the Office of Indian Energy & Economic Development-Division of Workforce Development, as well has two of her colleagues, Jody LeCompte-Garrison and Francis Dunne, were taken on a tour of the Nevada Campus and Field Site by Debra Forbush, campus president, and Sharla Patterson, Native American Liaison. Discussed were the three different levels of Heavy Equipment Operation offered, as well as the Crane Operation program and housing options for out-of-state students. Tuition costs, financial aid, job-placement assistance, and success stories of previous students were also topics of note. While at the field site campus representatives were able to discuss in detail seat time on equipment, practical field site projects, instructor qualifications, and unique teaching techniques, including the use of Ipod’s. At NAHETS Corporate Offices, the group was given a tour by Mike Martens, Brian Thornton, and Rhett Nielson. Discussed were out Heavy Metal Program, and our soon-to-be implemented online course study. The online course was of particular interest to the visitors as it would potentially cut housing costs for out-of-state students as well as facilitate an intense study of material until a high level of proficiency is met. They were very impressed with our program and have committed to give our education information to the Native American tribes they visit at least once a year. They also personally invited Sharla Patterson to their National Indian Economic Development Conference in Reno, Nevada on October 31, 2007.